The news about interest rates rises has been around for some time now but we are yet to see a rise in the Bank of England base rate. 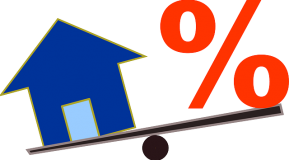 It’s not unwise however to believe that the day will come when rates will rise and so it could be the perfect time to take advantage of the low fixed rate offers available on the market right now. Fixing in at this time will protect you against any future rises in interest rates and you’ll know exactly what you’ll be paying for as long as your deal lasts. So, if you’re not tied into a deal and you’re on your existing mortgage provider’s standard variable rate, simply get in touch and let us help you find your perfect deal. Please note: We do not offer financial advice over the telephone. There may be a fee for mortgage advice. The precise amount will depend upon your circumstances but we estimate that it will be £295.